It has been weeks since your last interview, and you simply cannot bear the thought of letting the next opportunity that comes your way fall through the cracks. You’ve just received a call from your recruiter with news that the perfect job opportunity is within your reach — in fact, the interview is tomorrow morning at 8:00. With little time to prepare and a laundry list of things that need to be completed, this blog post unveils five considerations when faced with a short-notice job interview. On the opposite end of the spectrum, let’s say you are a candidate who has ample time to prepare for your next interview. But, where do you begin? Rather than feeling overwhelmed, take a step back and make sure all of your ducks are in a row. This guide includes a list of 10 things you, as a candidate, can do to best gear-up for the big day. Remember, a first impression is a lasting impression. You are more likely to stand out from the competition when you show up equipped with questions that demonstrate you have done extensive research on the organization. This indicates that you are already invested in the company, and your preparedness can be a selling point when a company is considering who would be the best fit for a position. 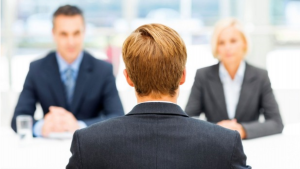 Reading this article can serve as an aid for you to nail your next interview.